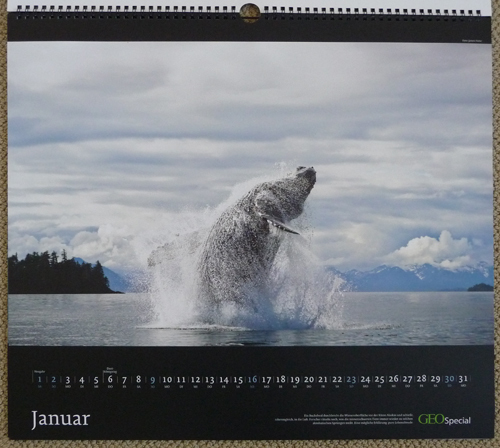 Our copy of the 2011 Calendar for GEO just arrived in the mail and it is beautiful! It’s shiny and oversized, about 20 inches x 18 inches. 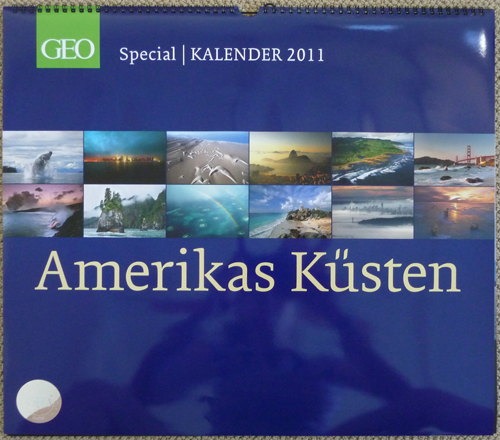 GEO is a European monthly magazine similar to National Geographic Magazine and we work with the German version. 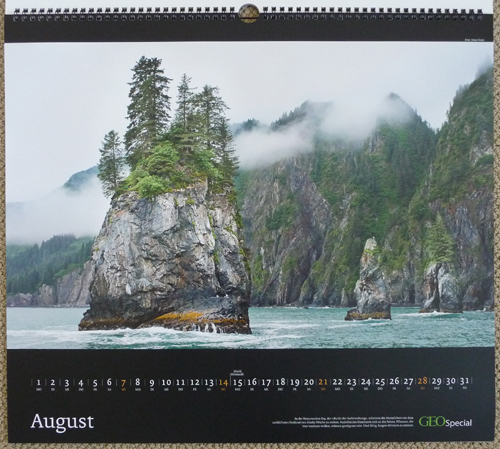 We have photos for both January and August in between the photos of Frans Lanting and Art Wolfe. Check out the photos below. Cheers!